June is National Safety Month, bringing safety awareness issues to the forefront of business and organizational leaders across the country – and construction safety is certainly among the masses. 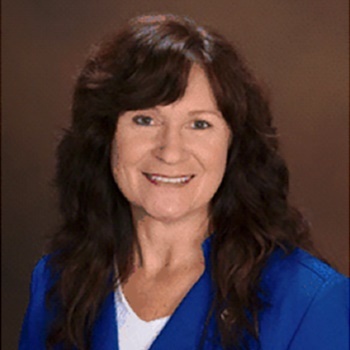 Horst Construction had the opportunity to sit down with Brenda Hart, a Risk Control Specialist at PMA companies, who works with us to ensure Horst safety programs are among the best in the country! Q: What do you see as the number one challenge for risk control as it relates to the construction industry, specifically when dealing with commercial and industrial construction? A: There are many challenges when it comes to safety in Construction. Each construction company can have their own unique challenges that as a Consultant, I must recognize and help to address. As I try to narrow down to the number one challenge, I struggle. The hazardous exposures on a construction site can change from hour-to-hour, day-to-day, week-to-week. There are so many moving parts to safety in construction. Perhaps the number one challenge is helping to manage them all so workers can go home safely at the end of the day. My job is easy compared to those who are on the site day in and day out doing their best to get it all done in a timely and safe manner. The number one challenge at any given time is the one that can hurt or kill you. Q: What’s the most bizarre risk control related incident that you’ve encountered relating to the construction industry? I recall a home-builder operation building numerous homes in a new neighborhood that subcontracted all the work to others. They did not have a good program in place to screen the subcontractors and picked their subs based on the lowest bid. I recall several “bizarre” observations. I walked into a home under construction and heard something overhead in the rafters. I looked up and there was a worker sitting overhead – no ladder, no scaffold. I asked, “How did you get up there?” He replied, “It was easy, I just climb up,” as he pointed to the door frame at the opposite side of the room. On the same jobsite, I also observed a worker on an extension ladder that was extended up to the roof of a two story house. While standing on the upper part of the ladder, the worker hopped the ladder to the right. Of course this is a big “no, no”. He reminded me of “Curly” from the show “Three Stooges”. However, I was not amused! It was quite a bizarre day. Q: With the warmer temperatures, people think of heat related illnesses as a big risk, not just for employers but for the general public, especially seniors. How do you convey the importance of this very real risk? A: Heat stress is a real risk to those who do not replenish their body with water after perspiring. When working in the heat, remember to drink water every 20 minutes. Avoid caffeine drinks, as they dehydrate you. Water or drinks with electrolytes are best. And, if you do have a break, seek out shade or a cool area. Applying cool rags or water to your wrists and neck can help cool you down. For more information on how your business can benefit from partnering with PMA, visit here.